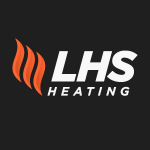 Need a new boiler in Ossett? Get FREE no-obligation quotes now! Boiler replacements, full systems, 10 year guarantee, clean and tidy installations, most of West Yorkshire covered, power flushes. Plumbing, Heating and Drainage works. Maintenance, repair, installation and servicing. Domestic and commercial. 2K Boilers are fully Gas Safe certified and based in Wakefield. Gas Safe registered engineer based in Wakefield. L1 fault appearing on screen checked water pressure and bled radiators but code still appearing. Current Fuel: worcester Age 1 yr old (definite replacement) Located in the kitchen. Open to suggestions. Flue position: wall. Timescale ASAP. Contact anytime. Boiler services plus hot water fees in bathroom only comingredients through tepid.